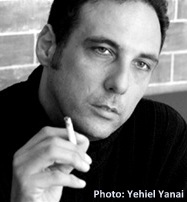 Yossi Sucary was born in Ramat Gan, Israel, in 1959 and grew up in the disadvantaged neighborhood of Pardess Katz. When he was eight, his family moved to Tel Aviv, where he still lives. Sucary studied at the Institute for History and Philosophy of Science at Tel Aviv University. He now teaches at the Tel Aviv College of Management, Bezalel Academy of Art and Design and at Minshar College. His books are included in university curricula. Sucary is the recipient of the Brenner Prize (2014) and the Prime Minister's Prize (2015).